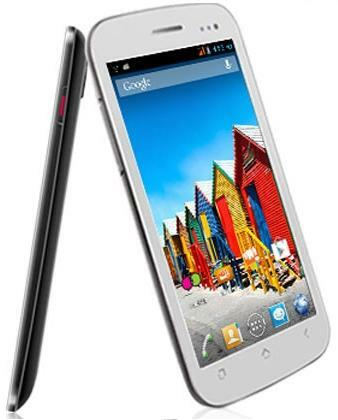 Micromax Canvas 2 Plus Smartphone is a dual sim Android smartphone which runs on android 4.2 jelly bean Operating System. Micromax Canvas 2 Plus comes with 5.0 inch display screen, Super fast 1.2GHz Quad Core processor and 1GB RAM. It also support GSM and 3G connectivity with 2.0 MP front facing camera for video calling.On rear Side you have a 8.0 MP Autofocus camera with LED Flash. Also support Wi-Fi connectivity for Internet and Bluetooth 4.0 for transferring File to other device.Battery Capacity of Canvas 2 Plus Phone is 2,000 mAh. Some Additional Features of Canvas 2 Plus are Multi-tasking, Games, MMS Enabled, Text Input and Spell Check, Notifications, Voice Search, Sound Recorder, Bluetooth Tethering, Calendar, Voice Input etc. Micromax Canvas 2 Plus Comes with Android Latest Version 4.2 Jelly Bean which comes with new latest features and Updates. Micromax Canvas 2 Plus Comes with 5 inch IPS panel, Capacitive Touch Screen display with resolution of 854 * 480 with 262 K color. Micromax Canvas 2 Plus Comes with Quad-Core ARM Cortex-A7 CPU processor and PowerVR Series5XT GPU for graphics (Specially for HD Games). All Applications and Games Runs Smoothly and No lag in Games. The Micromax Canvas 2 Plus has an 8MP rear camera with digital zoom, autofocus and LED flash and a 2MP front camera. The device has video recording capabilities. Micromax Canvas 2 Plus Comes with 4 GB on board Memory, 1 GB is used for Mass Storage and 1.4 GB is used for apps and Games. Memory expandable unto 32 GB of Micro SD Card. For connectivity purposes, the Micromax Canvas 2 has 3G, Wi-Fi, GPS, Bluetooth V4.0, USB 2.0, GPRS/EDGE and much more.